Hillsboro Museums will be displaying 50 original paintings by local artists for six weeks, beginning on 6 April 2019, at the historic William and Ida Schaeffler House. The exhibit will include paintings by more than 16 local artists that were created from 1902 to the present. 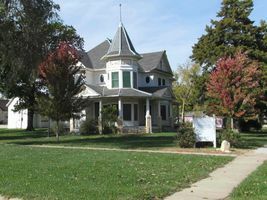 Visitors can enjoy the paintings as well as the original furnishings and architecture of the Schaeffler House, which is listed on the National Register of Historic Places.